This novel is as close to perfect as a novel can get. It took me months to get through, just because I had other books I had to read first. I wish I had read it the whole way through because the plot covers many years of the lives of Owen Meany and John Wheelwright (our narrator), but every event is an important highlight in a remarkable story. Owen is an unforgettable character. He’s developmentally different – he’s small – only about five feet tall when he is an adult – and he has a very distinguished voice. Author John Irving captures Owen’s speech in all caps, which helps the reader imagine that his voice is loud and slightly unnerving. I’ve read reviews where people are put off by this, but I really liked it. It helped me picture Owen more clearly. Owen is also special – he believes he is an instrument of God. First, very early in the story (this is not a spoiler – you can read this on the book jacket), he hits a baseball that kills John’s mother. From that point on he is convinced that nothing is an accident. As he grows up, we see the impact of Owen on so many people – adults and children alike. From his role in the Christmas play that frightens some and shakes others’ faith to his column “THE VOICE” in his high school newspaper which stirs up controversy, to the heroic act which fulfills his destiny, there is no doubt that Owen Meany lived up to his notion. My least favorite portion of the novel was the present day (1980’s) narrations of John in Canada, displeased with the U.S., and in particular, the Iran-Contra affair. Although it’s an essential piece of the story, because the fact that John is IN Canada has everything to do with Owen. The story itself takes place in the 60’s and American history is woven throughout the story. Owen has strong feelings about JFK (in particular his alleged relationship with Marilyn Monroe), and the Vietnam War is a huge catalyst to the act of heroism that Owen performs. I don’t think I can gush enough about this one. Just a solid, well-crafted story that is touching and thought-provoking, with an unforgettable central character. I would definitely recommend this — AND I plan on re-reading it at some point in my life. It’s that good. By the way, I completed this book for the 2014 TBR Pile Reading Challenge. I believe that makes two books marked off my list! Yessssss! I first read this book in high school, and I have JUST finished reading it for a second time (20ish years later). I fell in love with John Irving’s voice reading this book (I’ve read all his other books after reading Owen Meany. It is still my favorite Irving novel.) 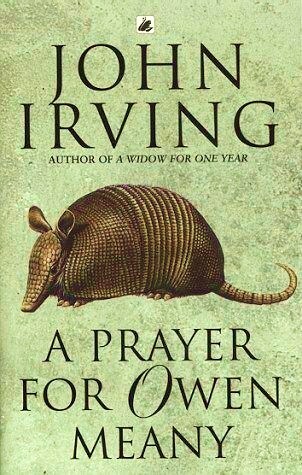 When people ask what my favorite book is, I usually say A Prayer For Owen Meany. Or Jane Eyre. Or both. *** Teeny spoiler for virgin Meany readers*** There was one word that I remembered from my first reading. The one that made me cry out loud and bawl when I was seventeen: “Ready?” That’s when I realize HOW it would all end. That word triggered tears this time too. 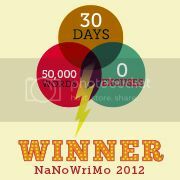 All this rambling on to say that I hope you WILL read it again someday. You’ll appreciate it even more the second time around.